This week I am participating in the Fit Approach and Skirt Sports #REALwomenmove Challenge. The intent behind the #REALwomenmove Challenge is to show women that being fit is something everyone can do regardless of size, shape or activity level. Day 1 of the challenge was to post a photo to Instagram showing your favorite way to stay active. For anyone who knows me or reads Unapologetically You regularly– you’ve probably already guessed my favorite way to stay active. Running of course! 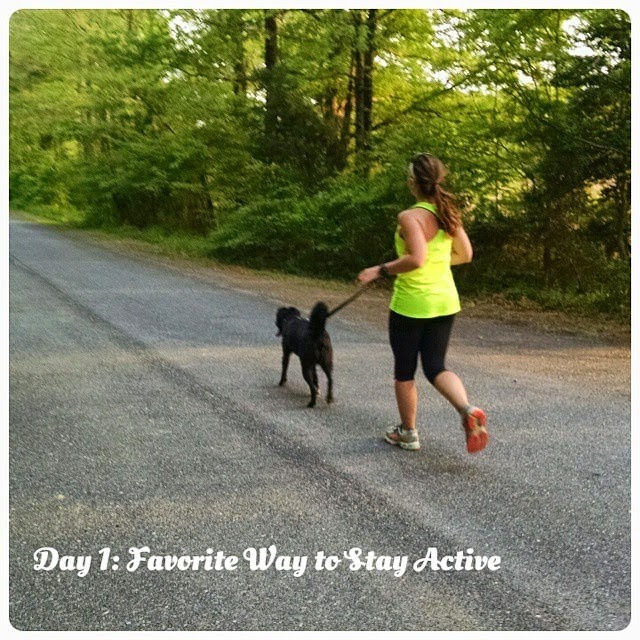 I decided to take the challenge a few steps further and write up a blog post detailing why running is my favorite way to stay active. I most definitely have not always enjoyed running. I was the girl who dreaded the timed mile in gym class. I was slow. Many times being the last or close to last person finishing. I started getting more active later in high school and all throughout college I exercised regularly, but I wasn’t a runner. During my senior year of college I took a fitness walking class to count as General Activity credits. I learned a lot about general fitness. That class was the spark that got me interested in running. I have been running now since 2010. I won’t go into the nitty gritty details of my running history 🙂 But here are a few reasons why running is my favorite way to stay active. 1. You can run anywhere. 2. You can see measurable improvements. 3. Running makes you feel strong. 7. Crossing a finish line is a pretty awesome feeling. 8. You’re competing with no one but yourself. 9. Running will leave you feeling refreshed and full of energy. 10. Running is a great way to make new friends. Running really has been a life changer for me. It continually allows me to become the best version of myself. I’m grateful that I have the ability to do something I love. So, now tell me– what is your favorite way to stay active?